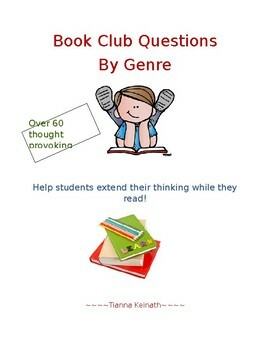 Over 60 thought provoking questions!! 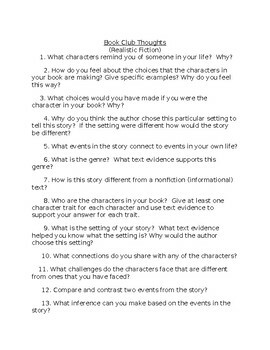 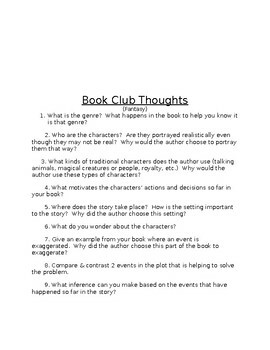 These book club questions are based on the common core standards and can be used with any book or short story. 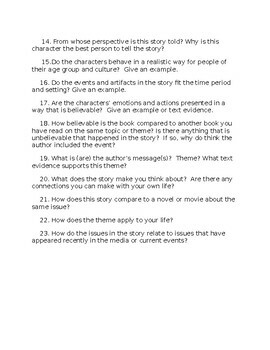 This pack has questions for realistic fiction, fantasy, and biography, but can easily be adapted for almost any genre.